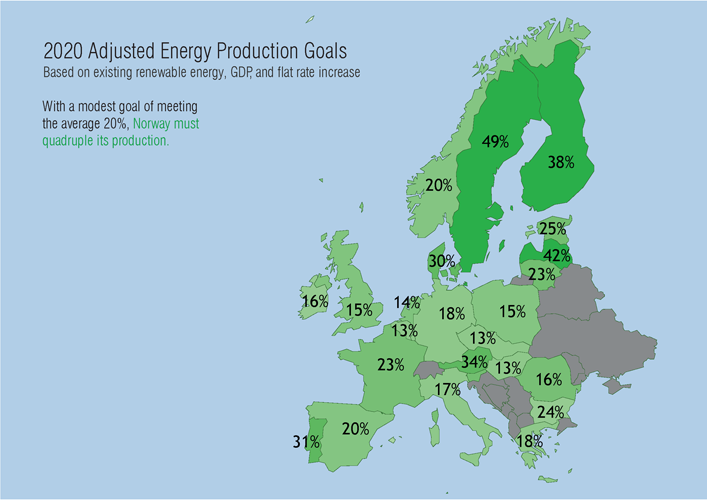 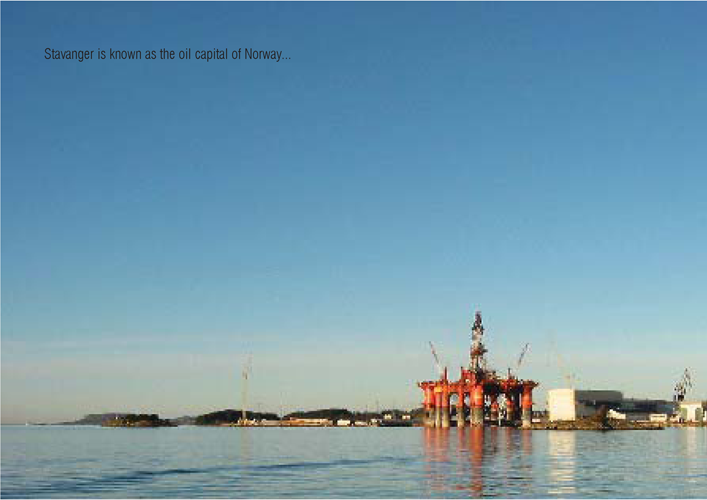 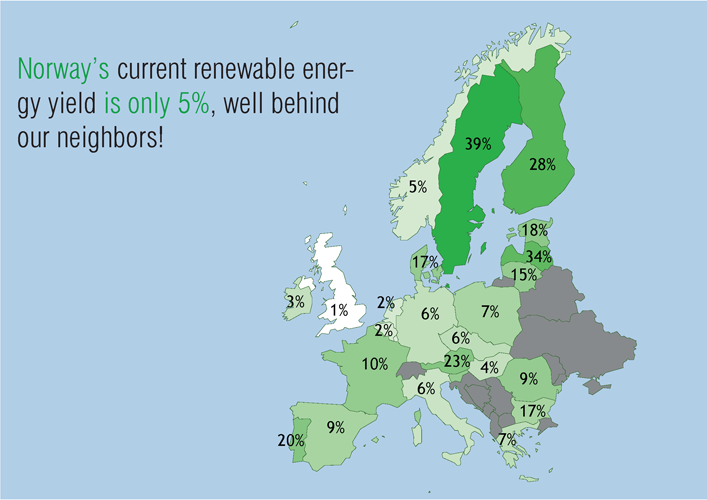 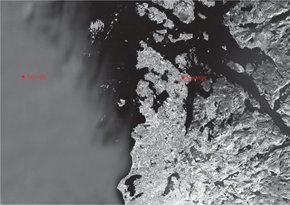 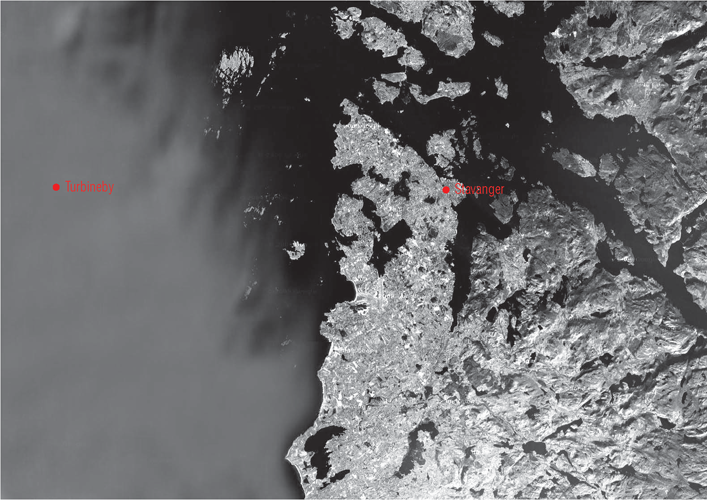 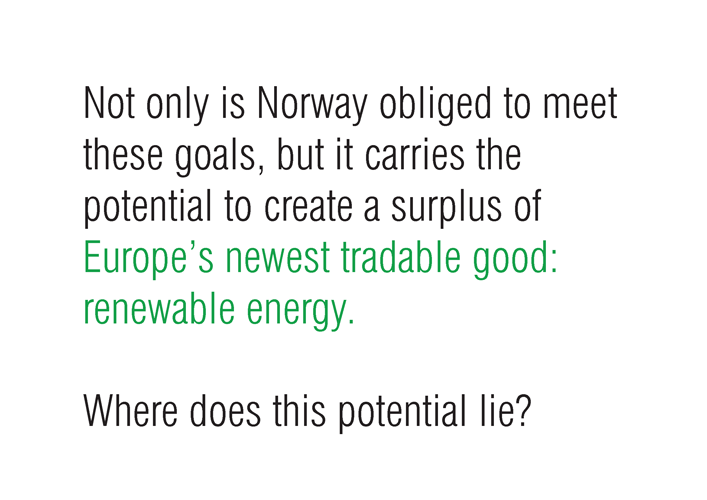 Norway carries the geographic and economical potential to surpass its own goals and become a major exporter of Geo energy. 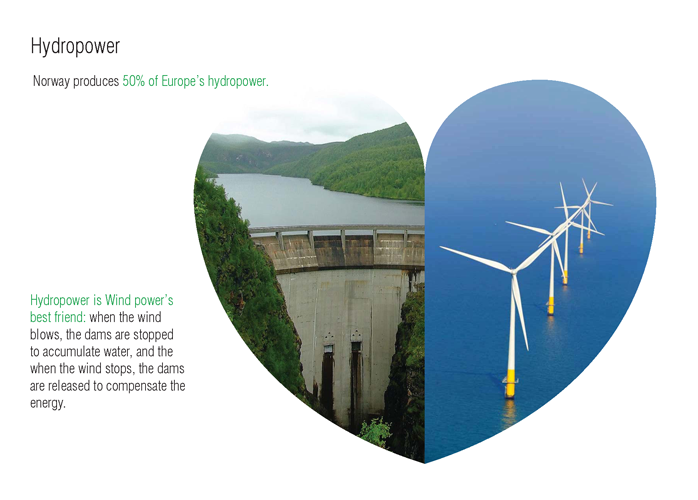 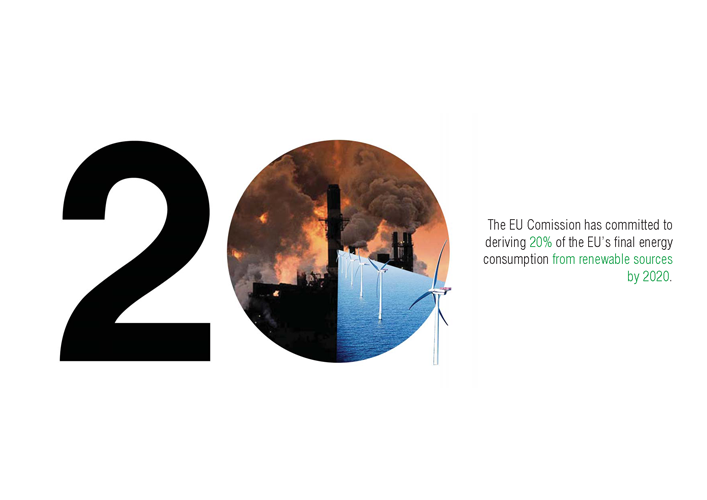 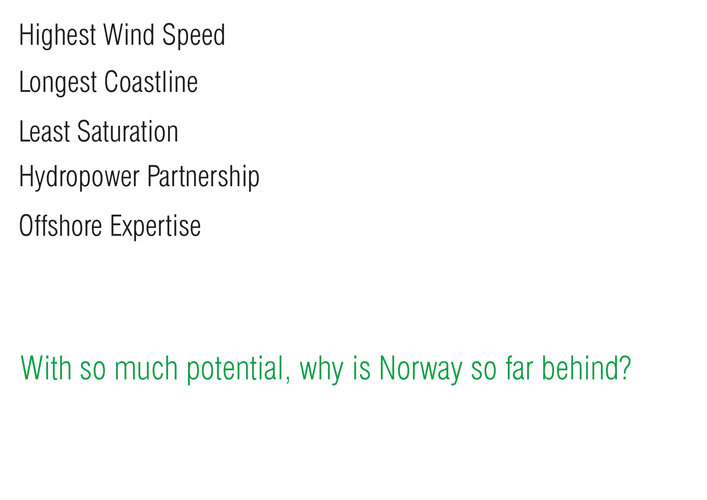 It already possesses everything it needs: the longest, windiest coastline in Europe, expertise in offshore installations, immense investment capital from the state oil industry, and a battery of hydro-power plants to partner wind power. 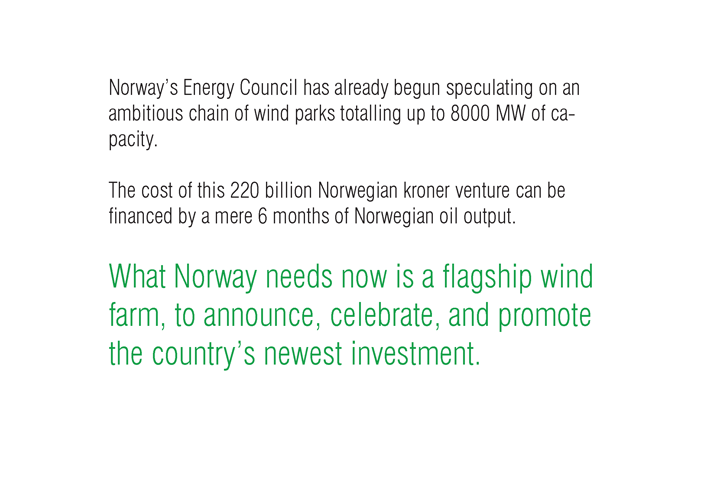 This potential is no secret; Norway has already begun speculation on an ambitious 800MW, $44 billion venture. 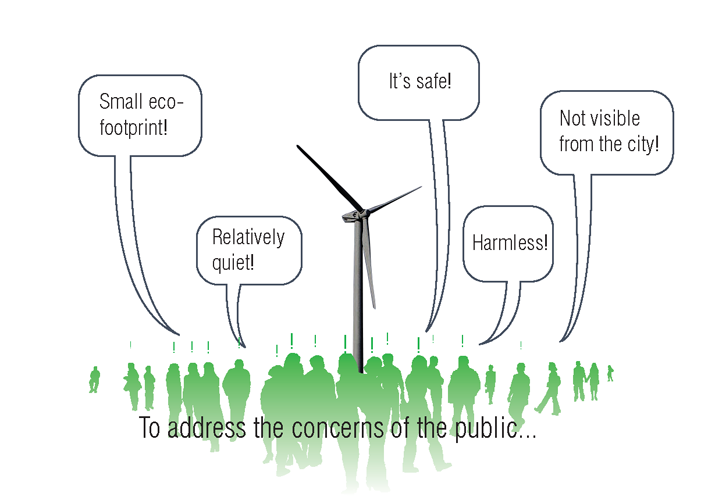 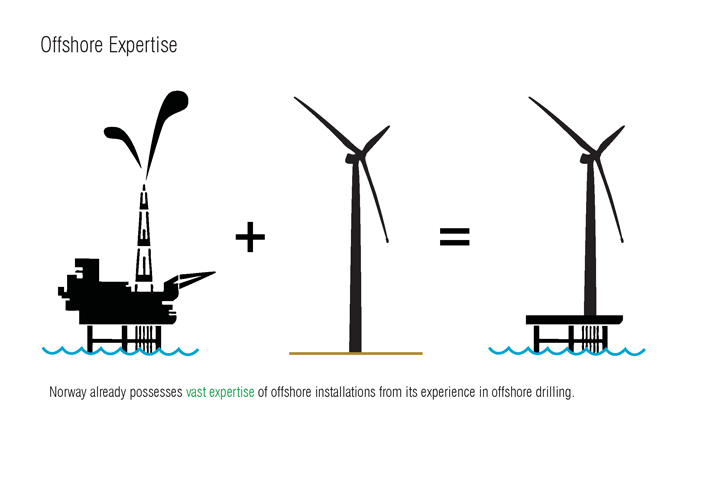 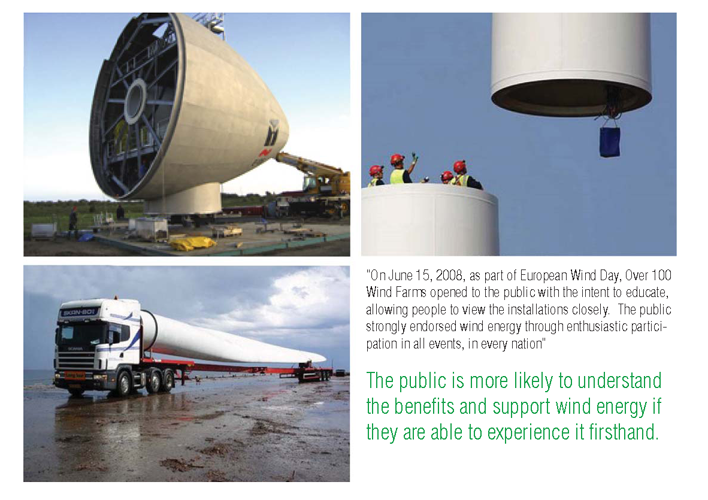 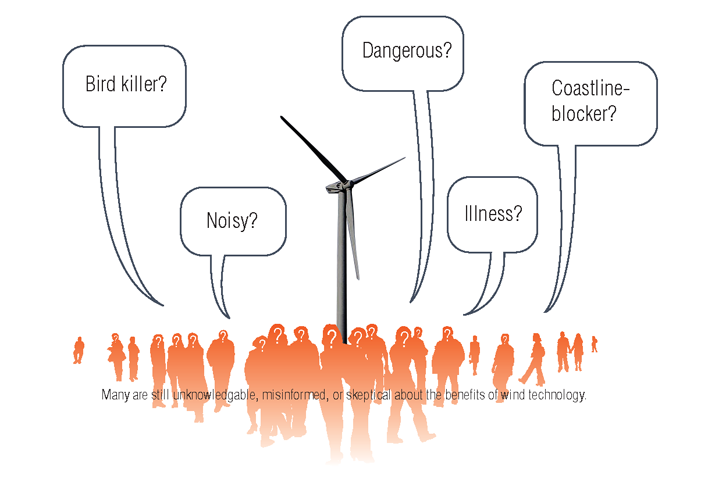 Yet offshore wind farms are meeting strong public resistance, mainly due to misinformation and unfounded skepticism. 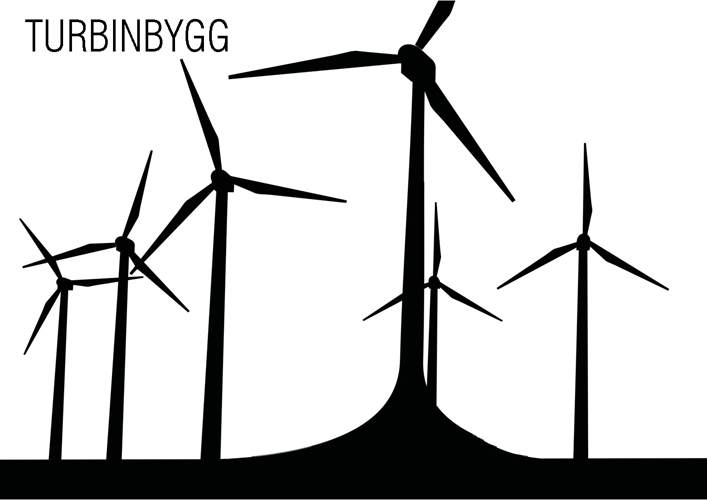 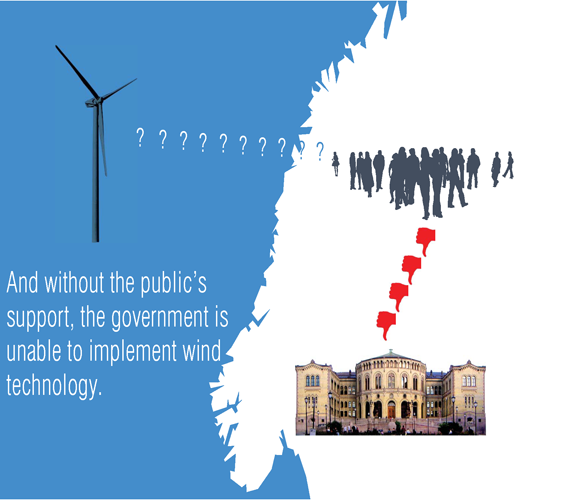 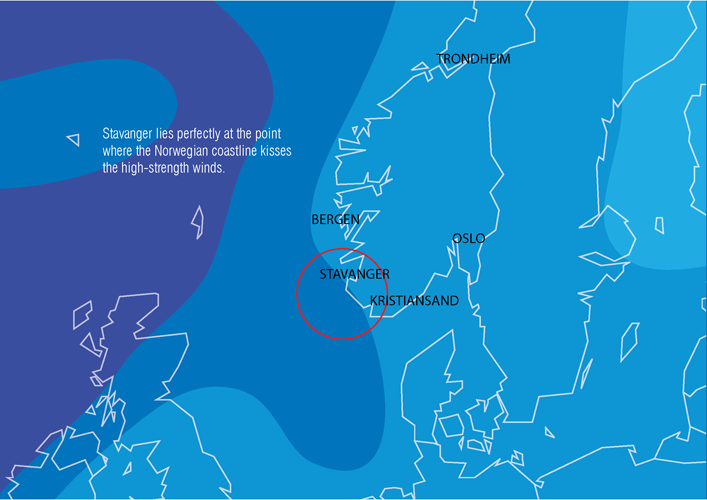 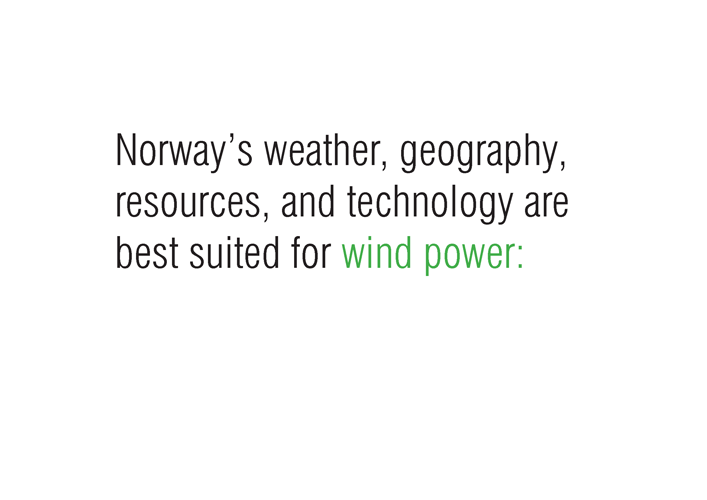 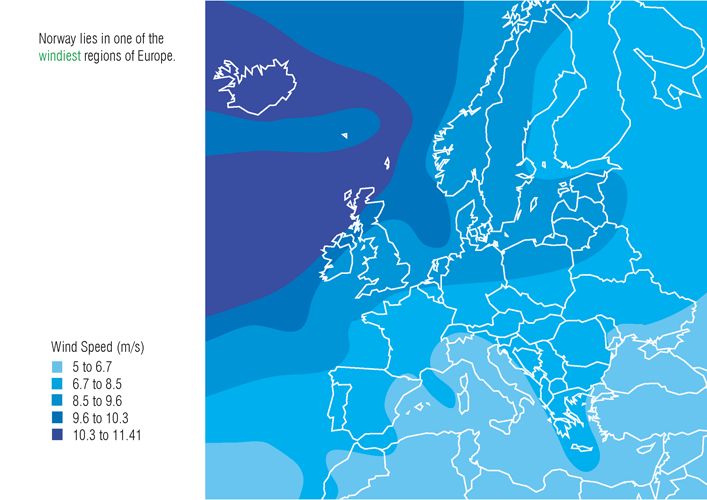 What Norway needs to propel wind power is a flagship wind farm to promote and celebrate its newest investment. 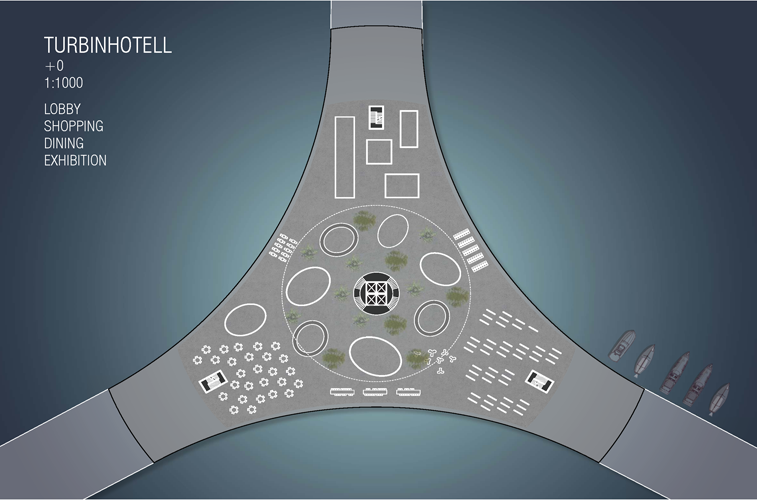 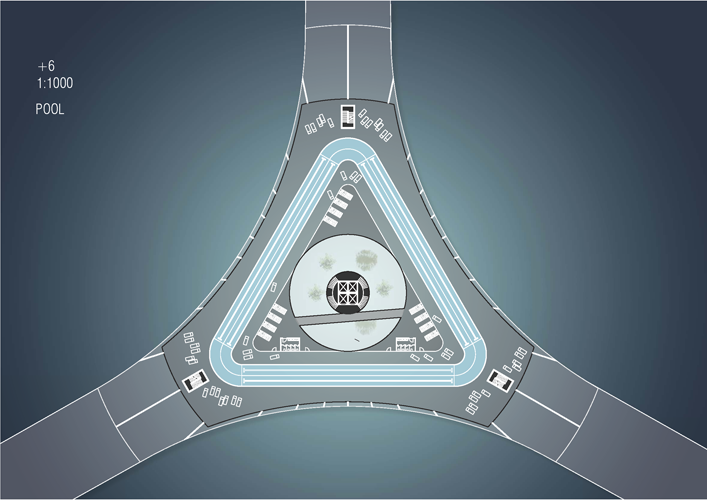 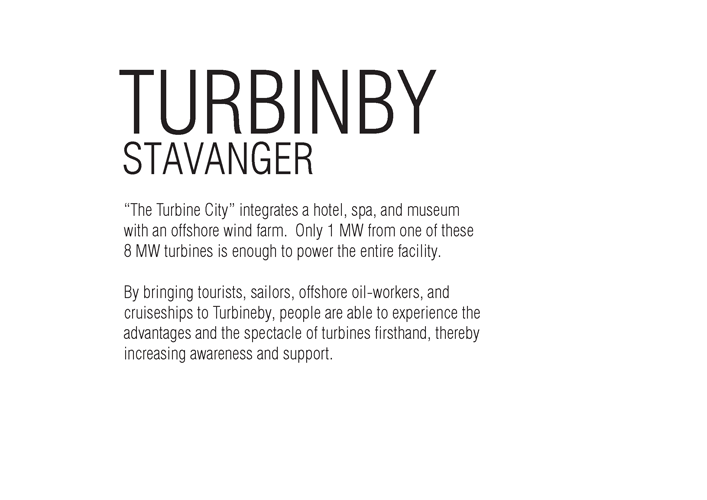 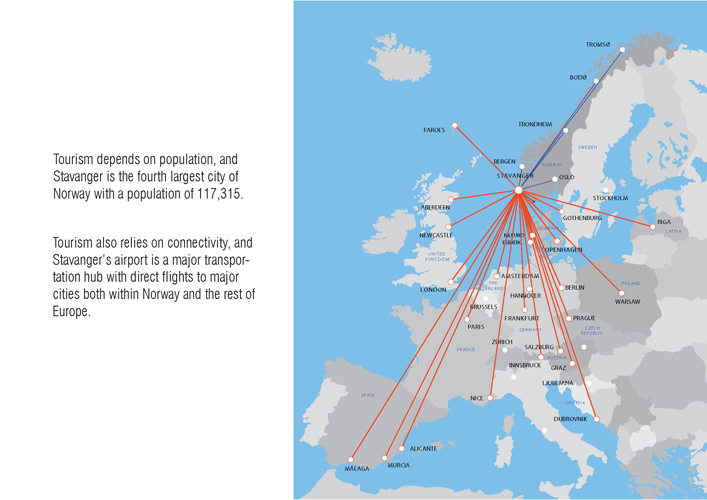 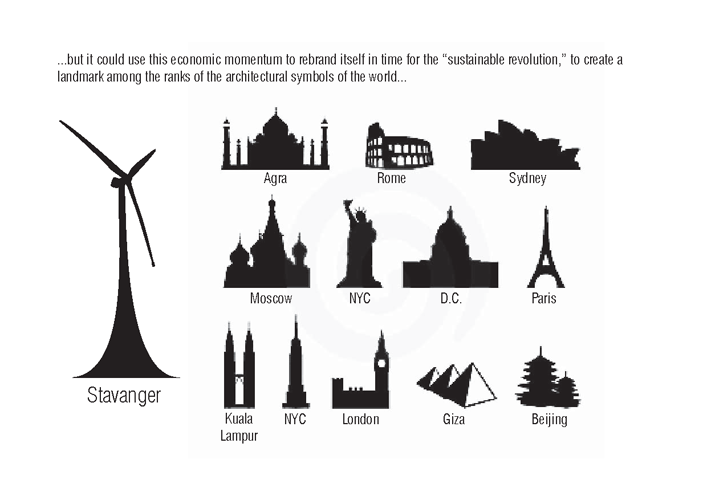 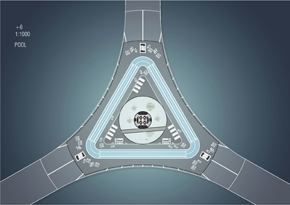 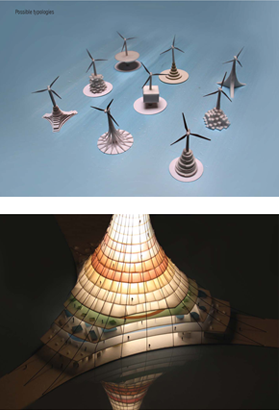 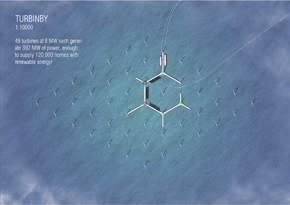 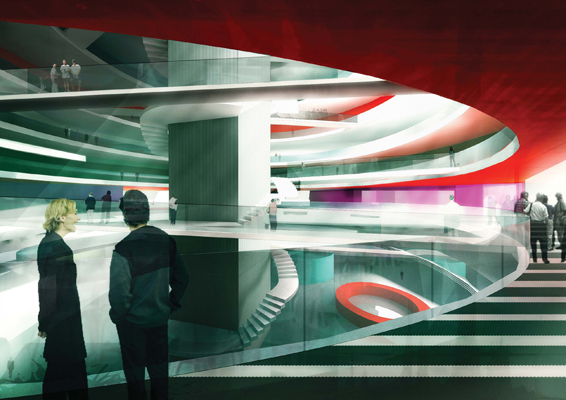 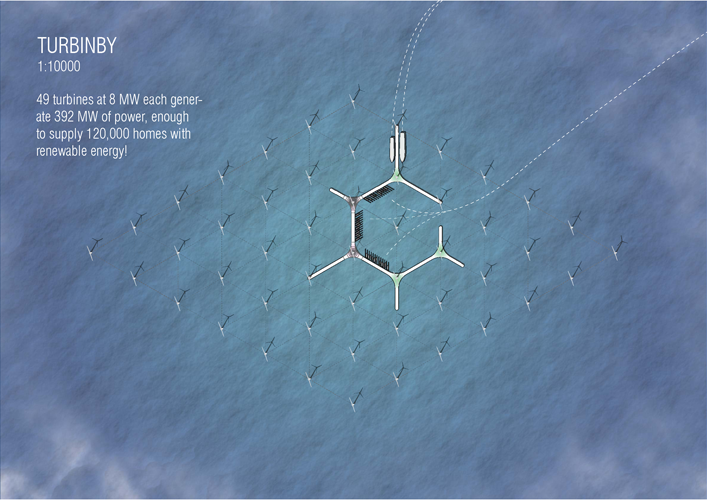 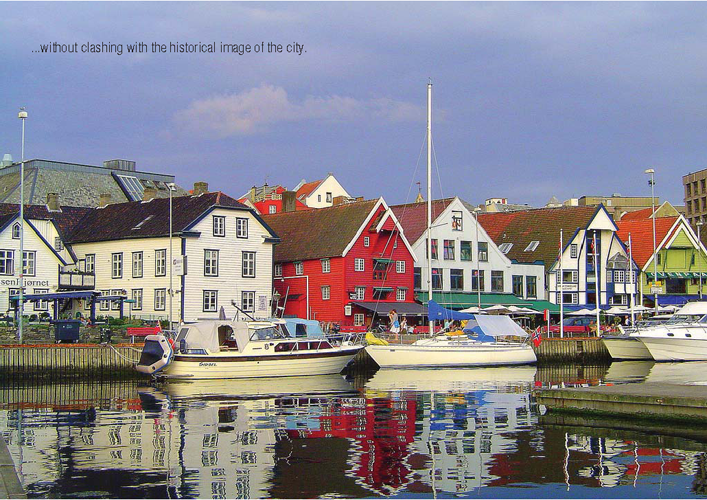 The Turbine City, off the coast of Stavanger, integrates a hotel, spa, and museum with an offshore wind farm. 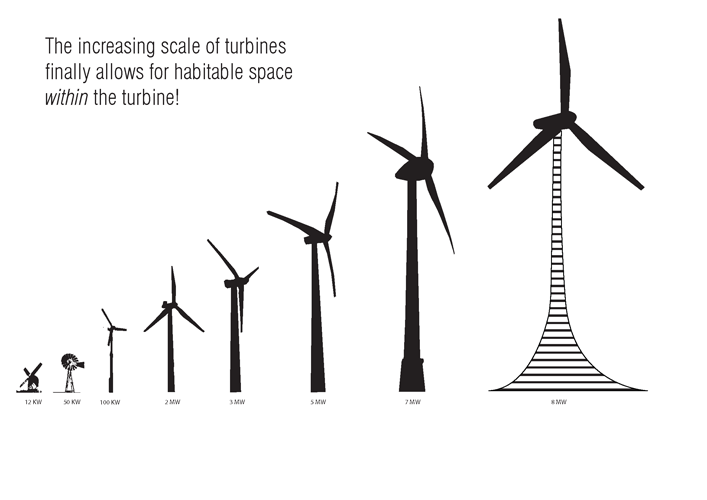 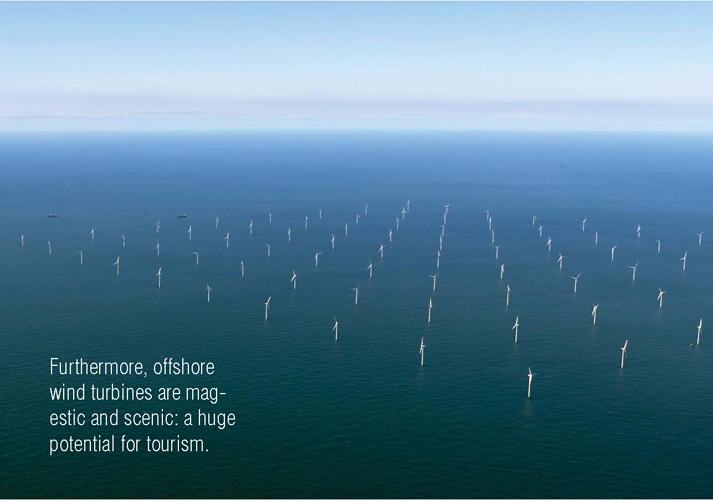 Only 1 MW from one of these 8 MW turbines is enough to power the entire facility. 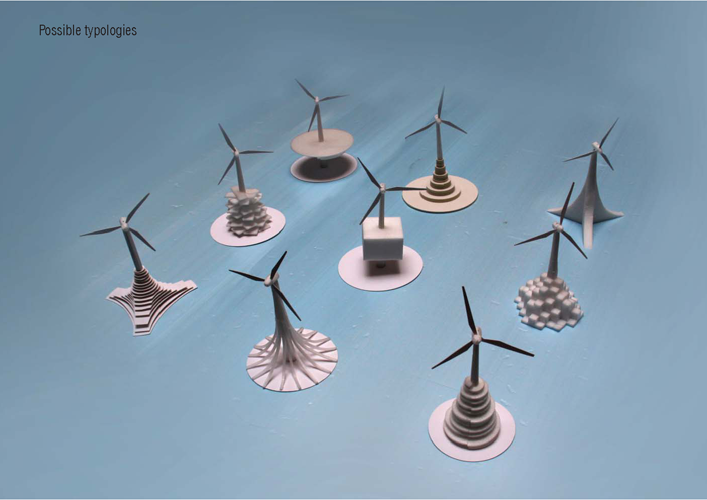 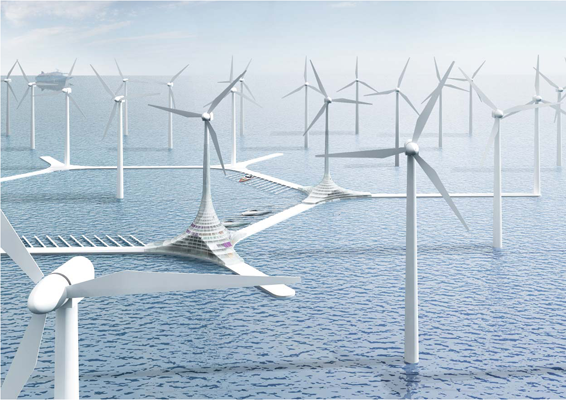 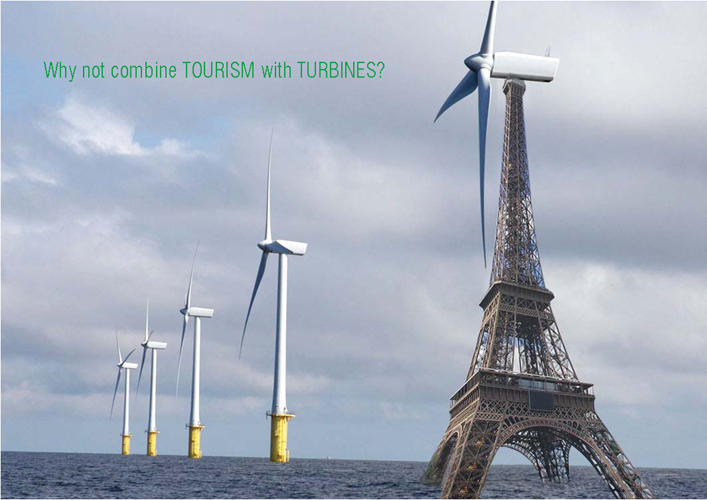 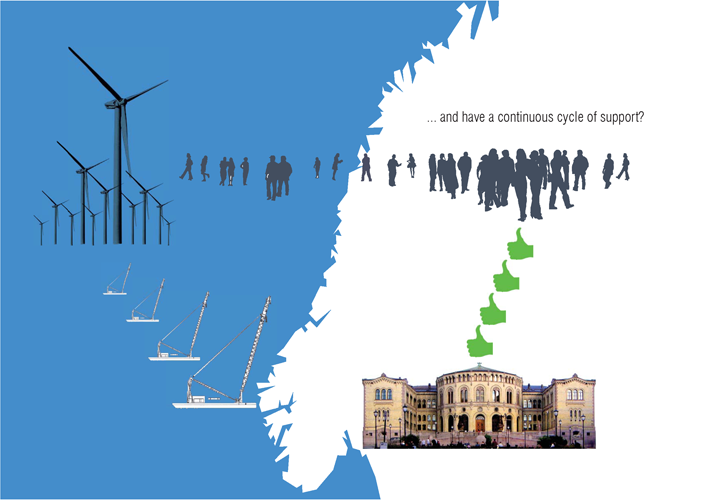 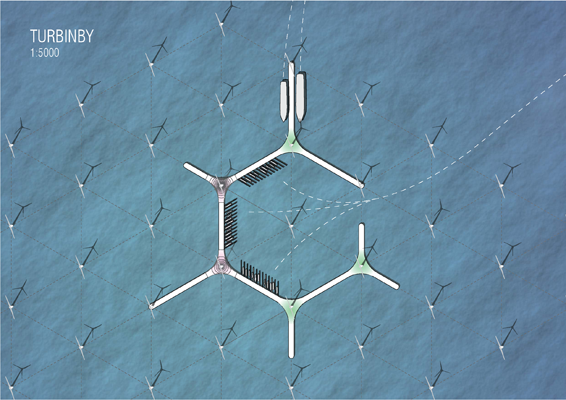 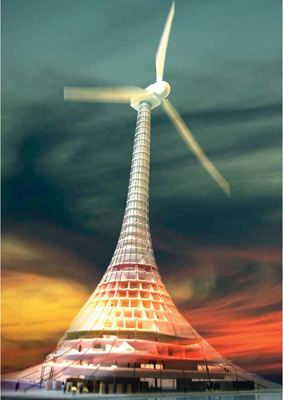 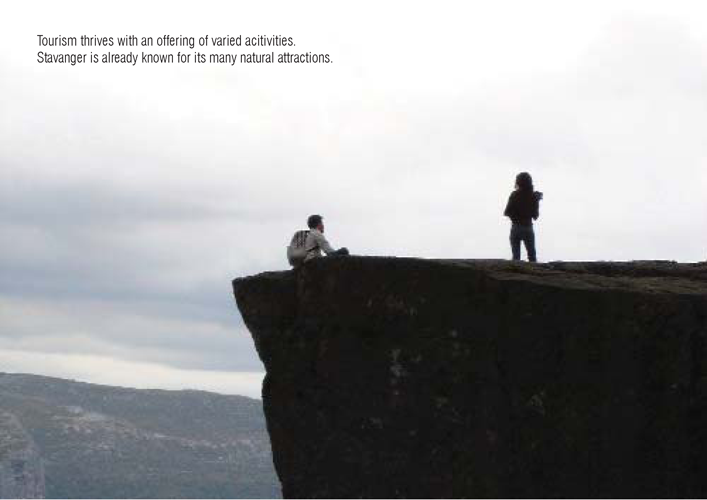 By bringing tourists, sailors, offshore oil-workers, and cruise-ships to Turbine City, people are able to expedience the advantages and spectacle of turbines firsthand, thereby increasing awareness and support.